Israel will step up its air strikes on Gaza, Israeli Prime Minister Benjamin Netanyahu has said. “We have decided to further intensify the attacks on Hamas and the terror organizations in Gaza,” his office quoted him as saying following a consultation with security chiefs. “The operation will widen and continue until the rocket fire on our cities will stop and quiet returns,” he added. The Prime Minister’s official spokesperson Ofir Gendelman posted a photo to Instagram of Netanyahu receiving a briefing from military leaders in Southern Israel on Wednesday morning. The announcement comes after a bloody day in Gaza, during which 20 people have been killed so far. 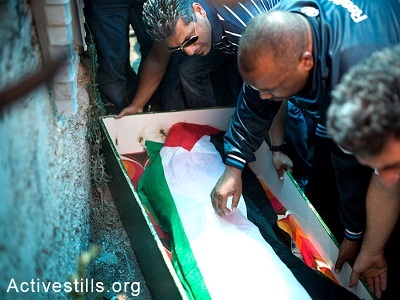 The total death toll in the Palestinian enclave now stands at 48, including several children. According to Palestinian Ma’an news agency, the most recent deadly Israeli airstrike hit Beit Hanoun in the northern Gaza Strip, killing 40-year-old woman Sahar Hamdan al-Masri and her teenage son 14-year-old Ibrahim. The strike comes shortly after 13-year-old Mohammed Aref and his father were killed in Gaza City and several hours after two-year-old Muhammad Malaka and his 27-year-old mother Aminah Malak were also killed in the strikes. The majority of those killed so far are believed to have been civilians, although several Hamas figures – who Israel says they are targeting – have also been killed. Hamas member Abdullah Difallah was shot down on Wednesday morning when a missile hit his motorcycle. A leading figure inside Islamic Jihad’s armed wing, al-Quds Brigade, Hafez Hamed, was also killed. Operation Protective Edge, as it has been named by the Israeli army, was launched on Monday night and Israeli Defense Minister Moshe Ya’alon said on Wednesday they are open to it continuing for some time to come. “From our standpoint, this is a campaign that will not end anytime soon, and we must continue to maintain stamina and patience,” he added. 28 Palestinians were killed in attacks on Tuesday and Israeli General Moti Almoz confirmed the army had hit 160 targets in Gaza overnight as it stepped up operations. “Overnight, the [Israeli army] hit about 160 targets in the Gaza Strip. Over the last two days we attacked a total of about 430 targets,” Almoz told military radio. According to Almoz Israeli targets included about 120 rocket launchers, 10 Hamas command and control centers, among them two homes, and many tunnels into Egypt. Hamas meanwhile continued to launch more rockets into Israel, with the latest reports indicating that it fired five long range rockets at Tel Aviv, on Wednesday morning. Warning sirens have been heard throughout much of Israel, including Tel Aviv to the north although so far all long range missiles have been intercepted by Israel’s Iron Dome system. Some shorter range missiles, however, have penetrated southern and central Israel. A man was confirmed dead from smoke inhalation following an attack on Rishon Letzion earlier today, while there have been various reports of minor damage to other councils. By Wednesday morning, 225 rockets had been fired from Gaza toward Israel since the start of Operation Protective Edge. Some 40 of these were intercepted by the Iron Dome system, although these numbers have swelled as the day has gone one. 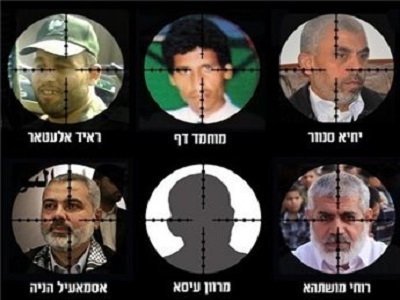 On Tuesday, Hamas’ armed wing the Ezzedine al-Qassam Brigades confirmed that it was behind the barrage of long range rockets fired at Jerusalem, Tel Aviv and Haifa. “For the first time, the Qassam Brigades strike Haifa with an R160 rocket, and strike occupied Jerusalem with four M75 rockets and Tel Aviv with four M75 rockets,” a statement by the group said. The last time Gaza-based fighters had fired rockets at Jerusalem was back in 2012, with the group laying out four conditions for a ceasefire. Israel must end all action in Jerusalem and the West Bank, end the bombardment and siege of Gaza, release all the prisoners re-arrested in the Israeli operation launched on 12 June after the disappearance of three Israeli settlers and stopping “meddling” in the Palestinian Unity government, the group said. “They will not dream of calm if they do not stop their aggression towards our people and stop attempting to break our unity government,” the statement said. 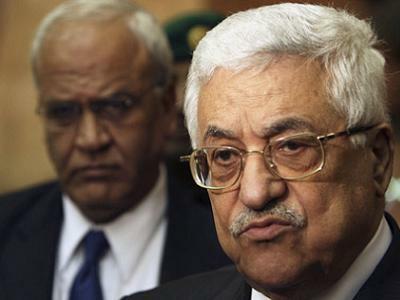 When Will Palestine’s Leaders Change Their Tactics?